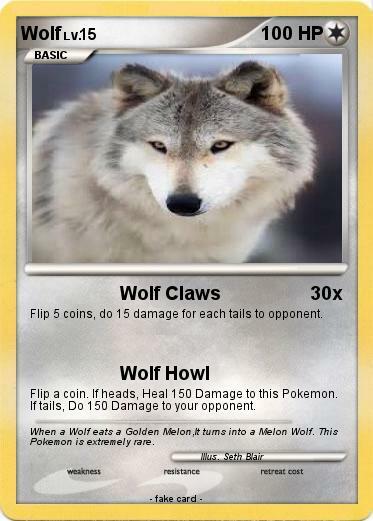 Flip 5 coins, do 15 damage for each tails to opponent. Flip a coin. If heads, Heal 150 Damage to this Pokemon. If tails, Do 150 Damage to your opponent. Comments : When a Wolf eats a Golden Melon,It turns into a Melon Wolf. This Pokemon is extremely rare.